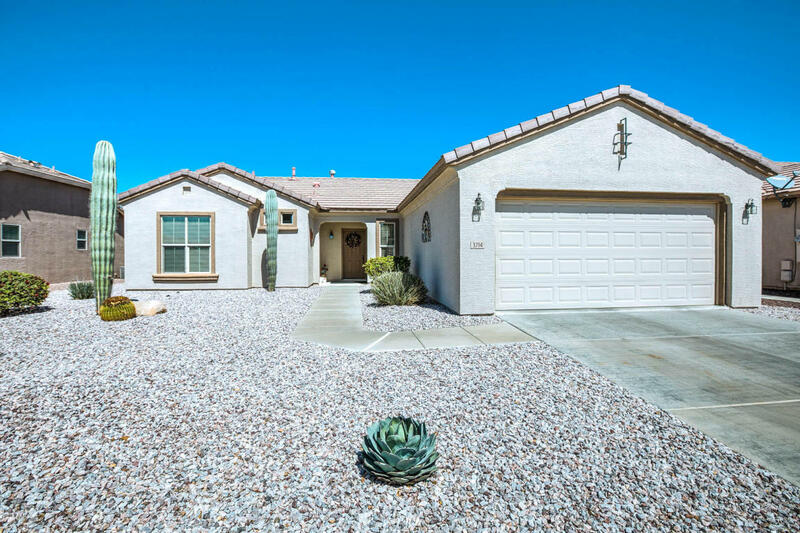 Welcome to your dream home nestled in the sought-after Chandler gated community of Solera. This originally owned, meticulously maintained property exudes pride of ownership. Step inside this desirable Acacia model with its inviting bright and open floor plan featuring 2 bedrooms, 2 bathrooms, and a private den. You are going to immediately fall in love with the island kitchen and breakfast room area boasting bay windows, ample counter space, and cabinets galore. The spacious master suite features a large double sink vanity and oversized walk in closet. Cozy up by the gas fire place in the living room, kick off your shoes on the comfy carpet, and enjoy your retirement living! Or step outside in the backyard and relax by the desert landscape. The amenities of the Solera Active 55+ community await you with the golf course, swimming pools, spas, pickleball courts, recreation room, and so much more... Make this home your first and last stop!